What started off as a chain of Bookies grew into an absolute online monster. Betfred Bingo is a site that comes with plenty of gambling background, and that’s a good thing. The years of gaming experience and customer feed-back has built a site that is capable of holding your attention. In fact, Betfred Bingo is capable of so much more. Even with the great looking re-design, there is one problem, and it’s down to a problem that most massive “one site” gambling platforms have, they ‘re not a Bingo platform, rather a platform that has Bingo. 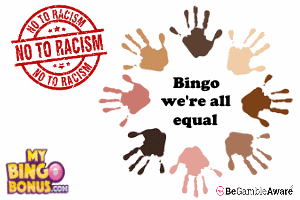 In Betfred’s case this isn’t so problematic as there is plenty to do and choose from, but, Bingo here is still the poor relation. 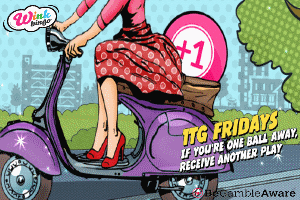 They offer a “one wallet” system that means you have one account and can play on all the Betfred sites such as Poker, Bingo, Casino, Vegas, Lotto etc etc. BUT, each offers a different bonus system and you need to read up on the wagering agreements for each. 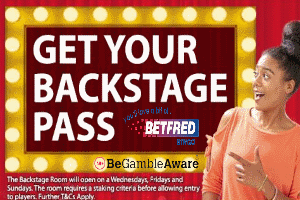 If you like you gambling all under one roof, then Betfred ticks all the boxes. Bingo here is good enough to keep you happy, but eventually you’ll discover their Live Casino and Bingo becomes less captivating. Is it perfect? No, but for Bingoers that fancy a bit of everything on the side, it’s great. Would we recommend? YES, good gambling history that has a reputation for excellence. There are better Bingo sites than Betfred Bingo, but few that have everything all under one hat. The Bonus offer is good enough and the pots are always full. That said, you can expect to be inundated with offers and bonuses for all and every game open to you as a Betfred player. Not necessarily a bad thing as you can switch them off, but it might upset those not used to it. Should that be the case, let them or us know and it’ll stop. There is no such thing as a free supper, and at Betfred you need to know what you are accepting when you take your bonus funds. Likewise, you need to know what and when you can withdraw your winnings. Full details will be in their Terms & Condition’s on the bottom of their homepage. Maximum withdrawal amount: £50,000, but payments may be staggered.